I hear people say all the time that they are not at all religious. I don’t believe a word of it. Religion is hardwired into our basic DNA. Some call it superstition. We all have it to some extent. What many persons do NOT have is organized religion. All belief systems are ultimately based on faith. If a person believes there exists an objective truth or an objective morality that is a ‘religious’ belief. If a person believes there is NO such thing as objective truth or morality, that too, is a specific religious belief. This entry was posted in Faith, Ponderings and tagged Christian, Christianity, Religion. Bookmark the permalink. Many people equate what they do with what they hope they are. They want to identify with Christianity and have an idea of what they need to do to wear that label. The only problem is that Jesus is not concerned about what they do as much as He is about who they know. 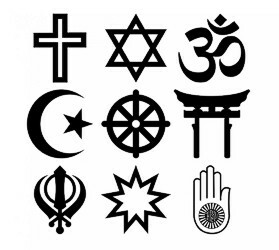 Kurtis Karr's Blog > Christianity > Faith > Aren’t We All Just a Little Religious?